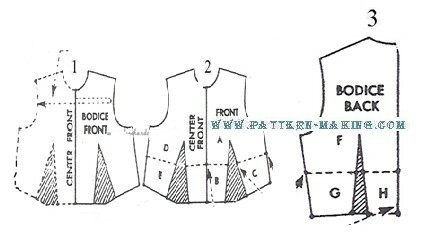 Using the dress bodice foundation as shown in the supplementary revised edition of junior’s misses and women sizes, trace front for left and right side as indicated. 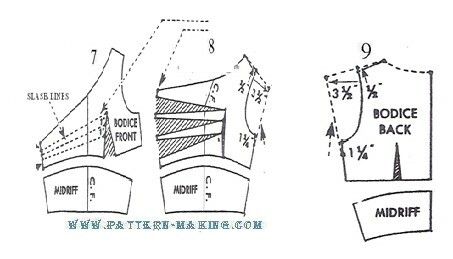 At dart, 1/4" less than at center front At . . .